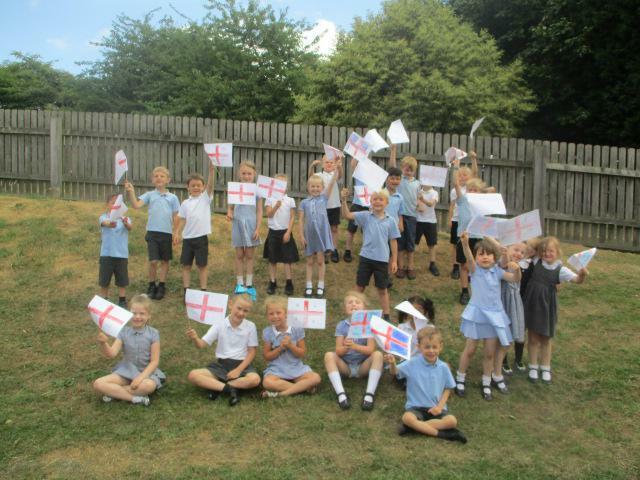 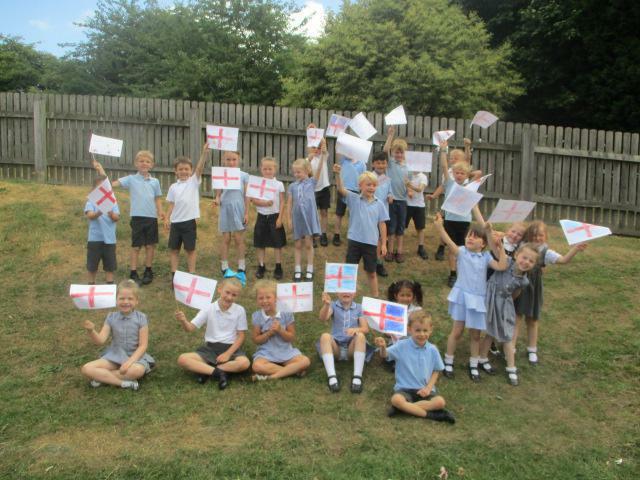 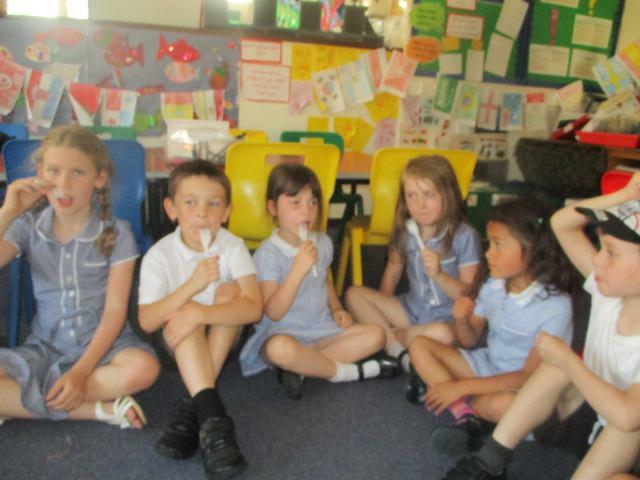 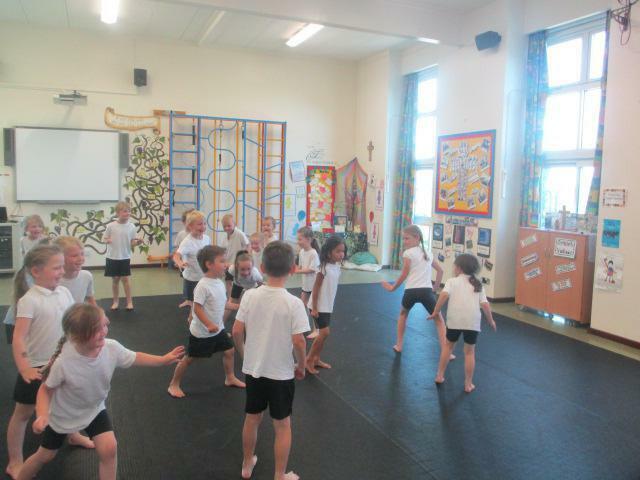 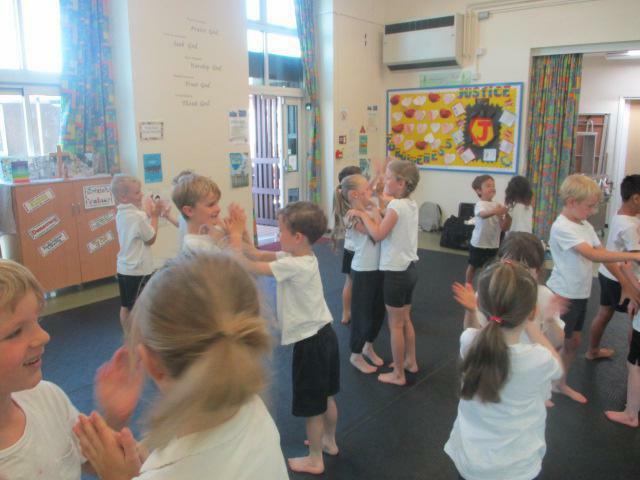 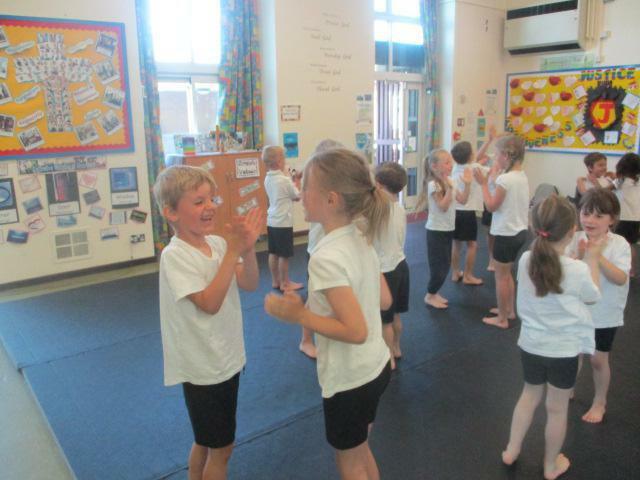 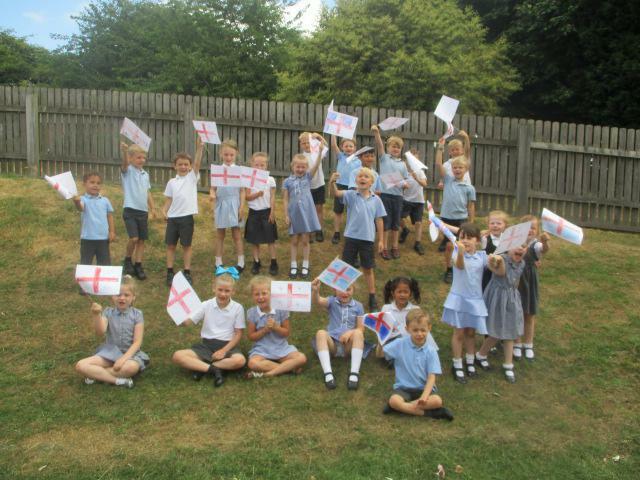 Holly Class World Cup Celebrations! 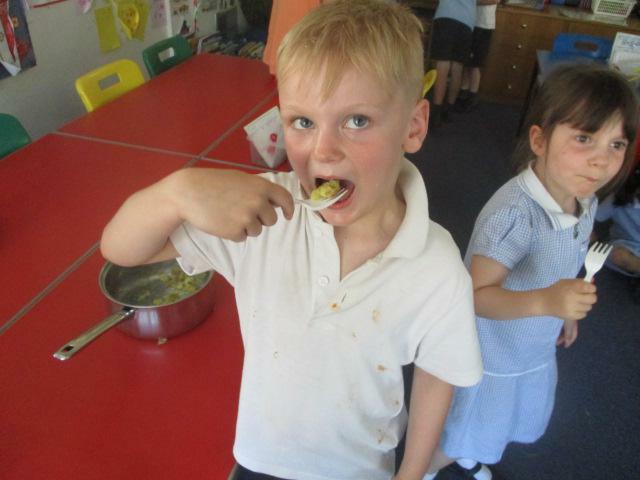 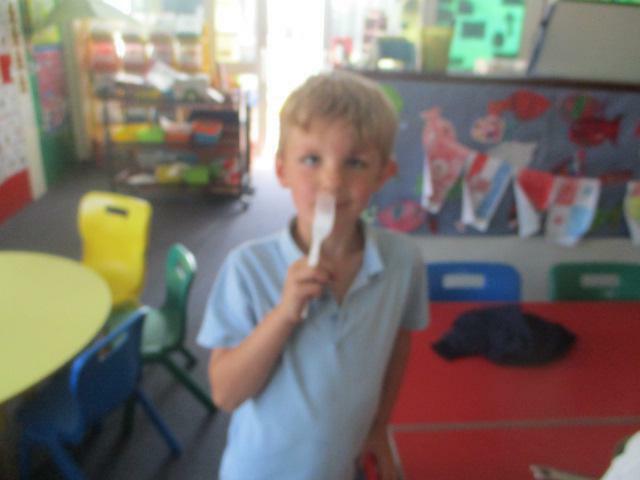 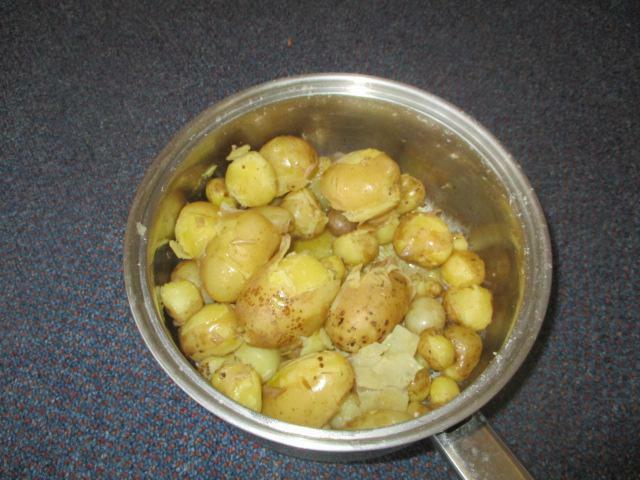 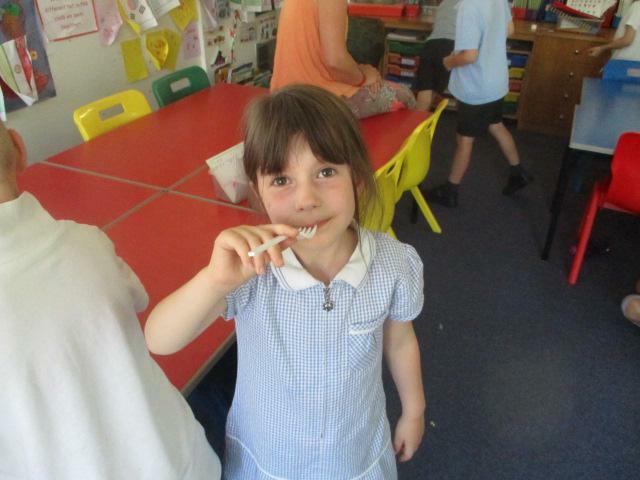 We enjoyed cooking and eating the potatoes we have grown. 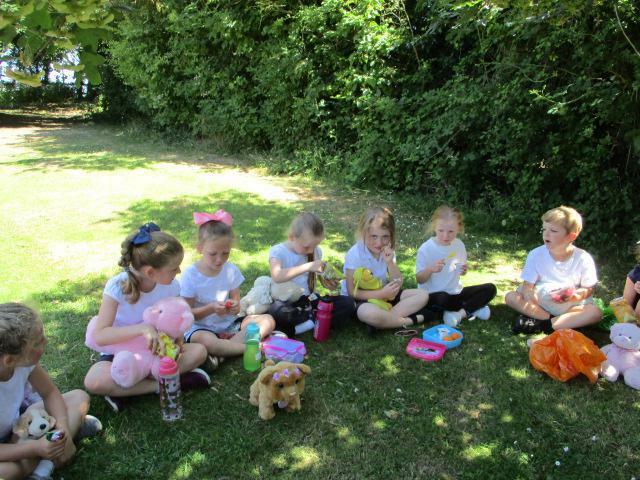 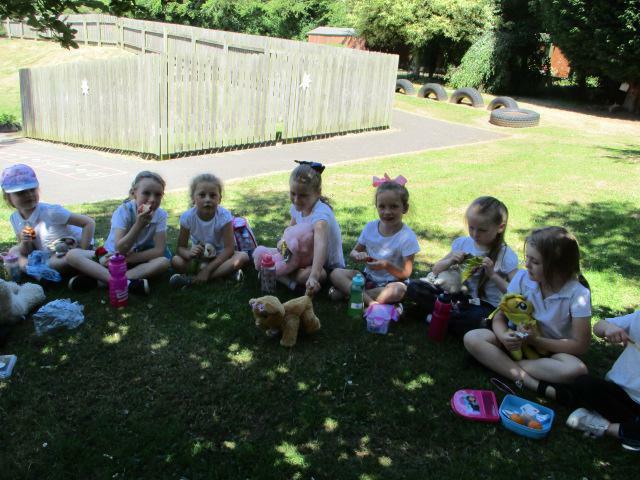 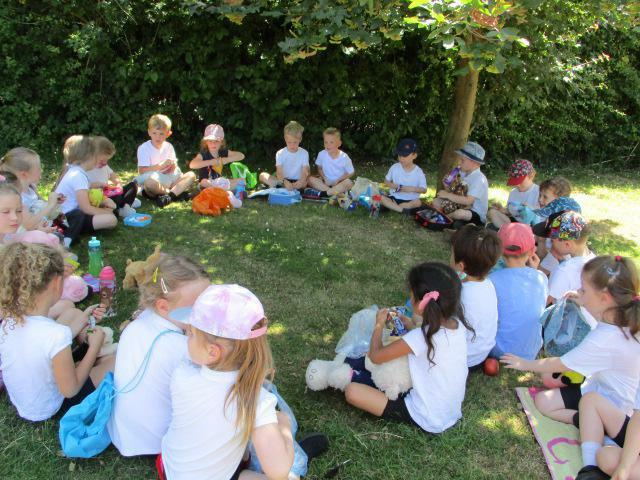 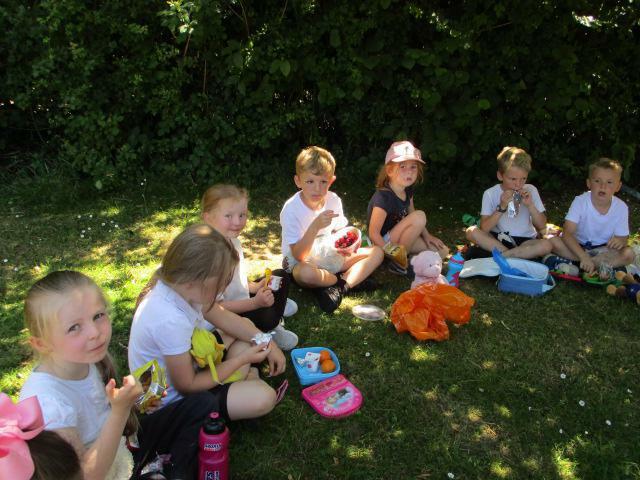 Holly Class enjoyed their teddy bears picnic! 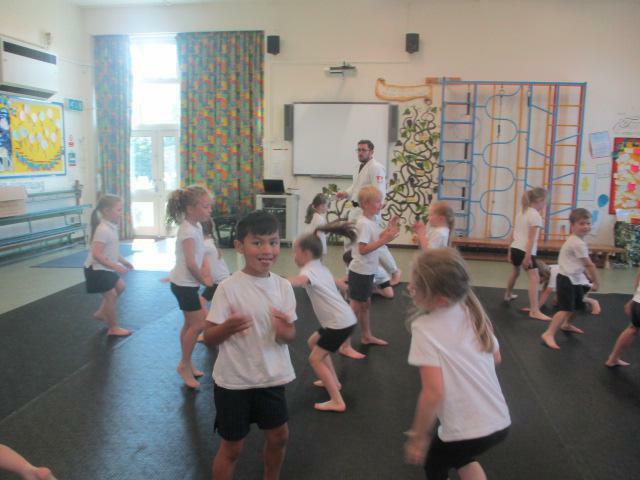 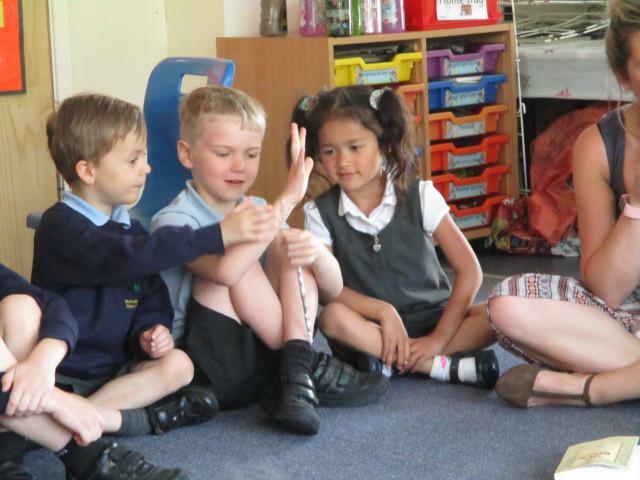 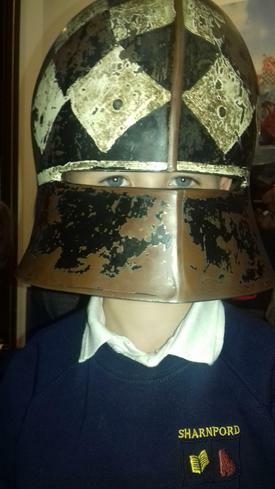 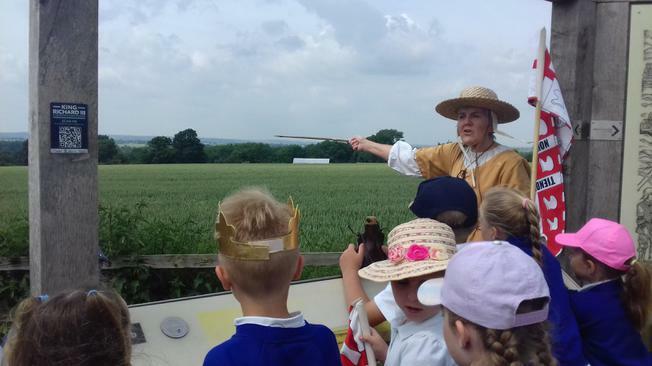 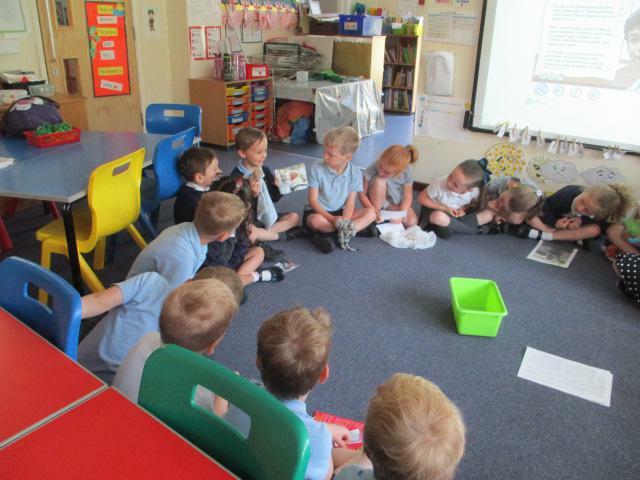 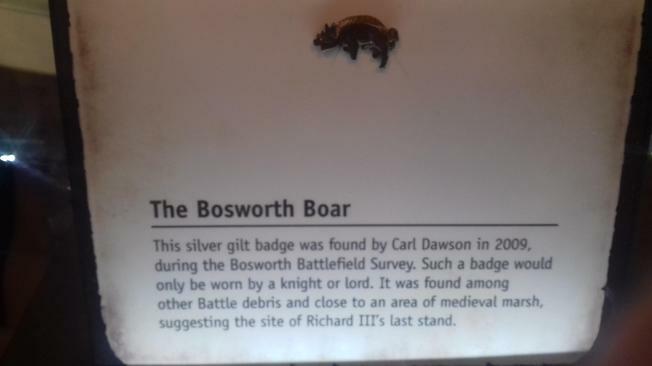 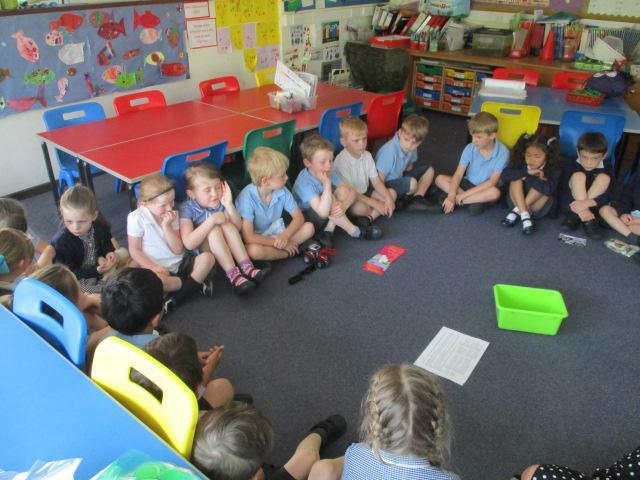 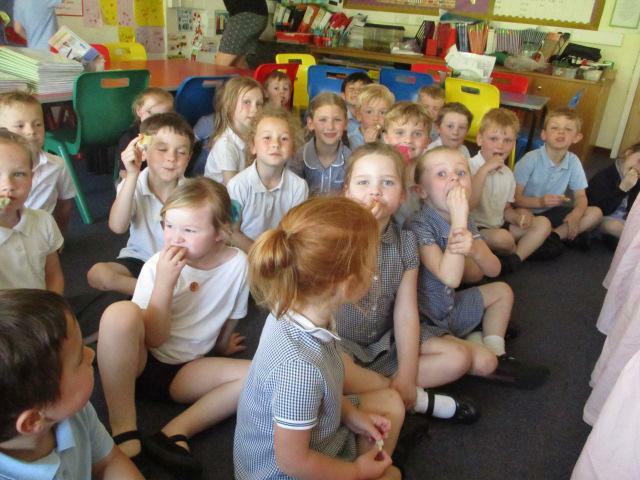 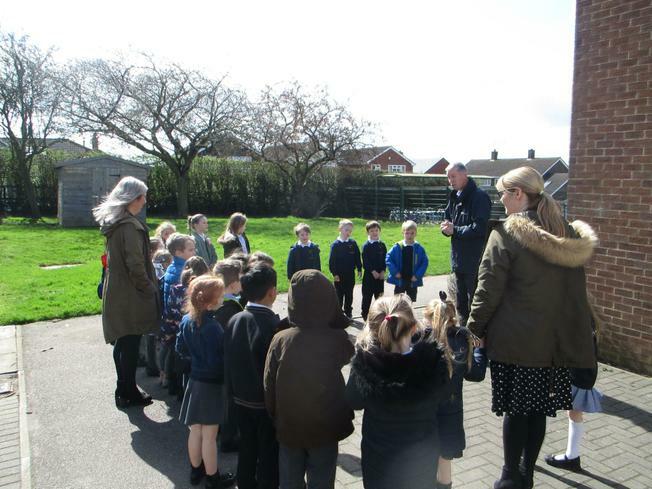 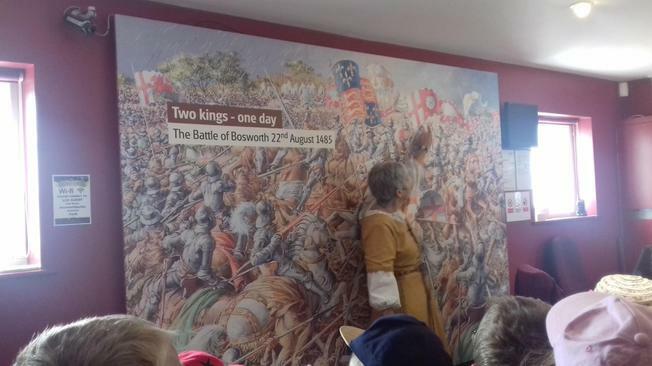 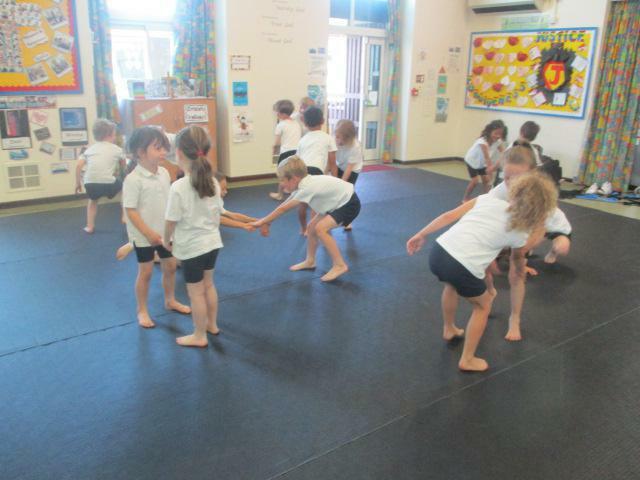 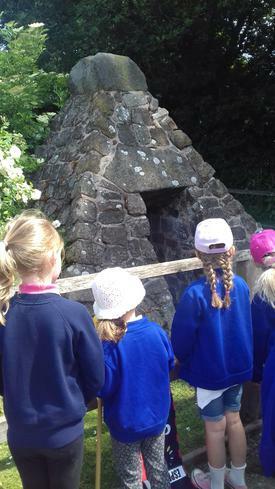 On Wednesday 13th June, Year 1 visited The battle of Bosworth field. 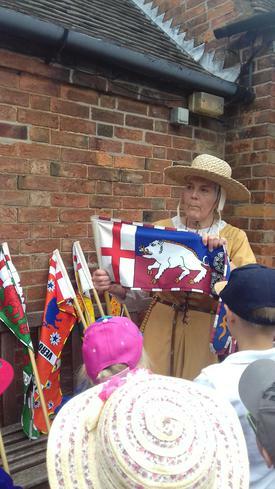 We learnt about Richard III and how he died during the battle. 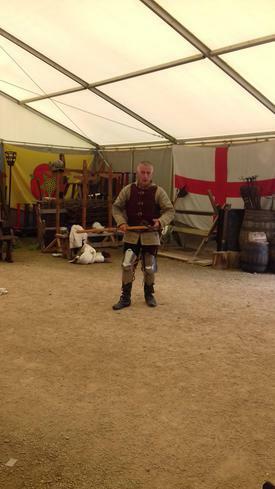 We tried on some of the armour and saw lots of different weapons that would have been used by the soldiers during the battle. 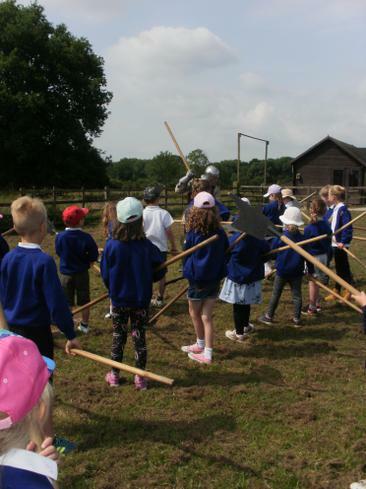 We also re-enacted a battle ourselves! 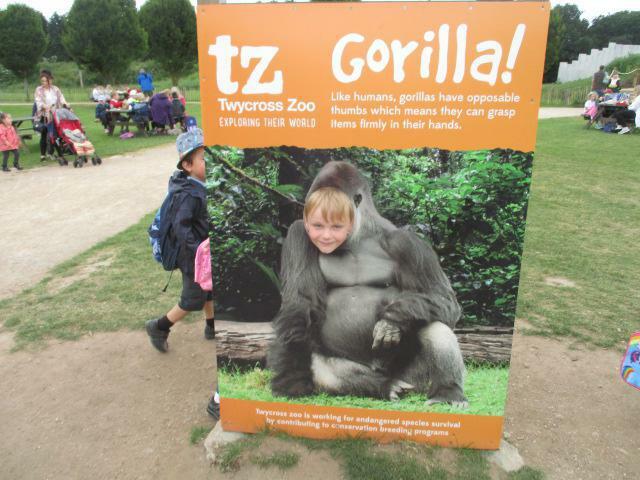 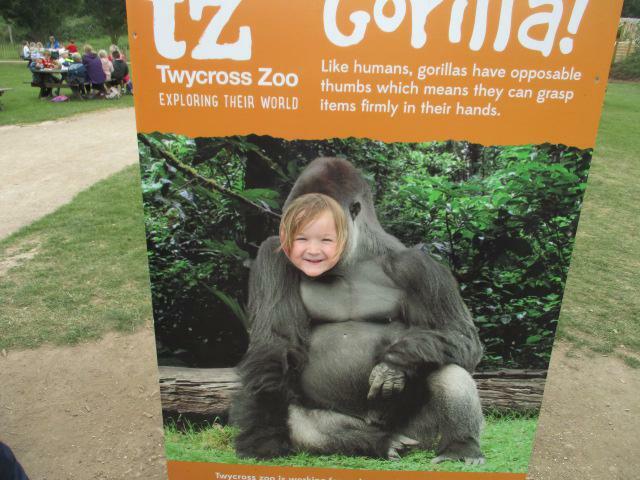 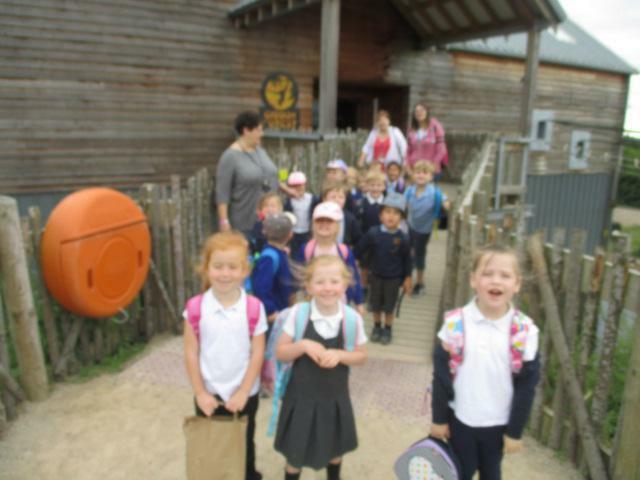 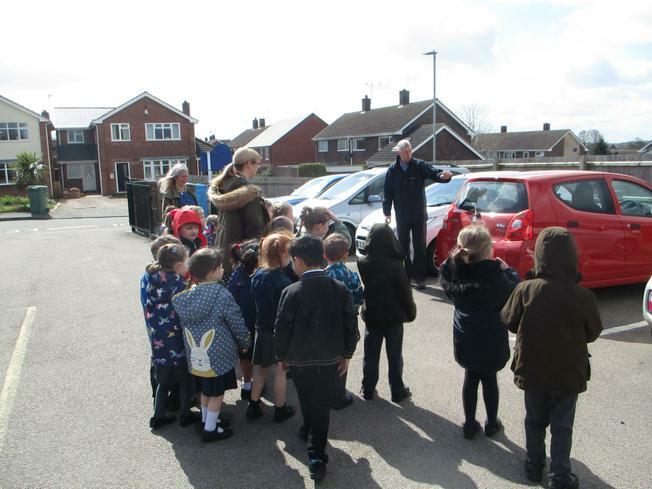 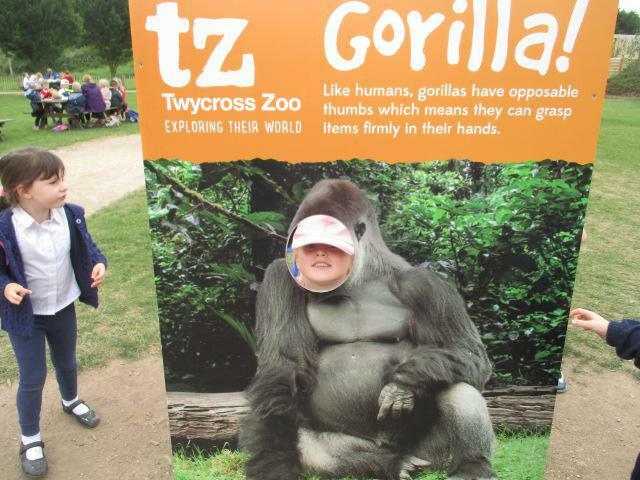 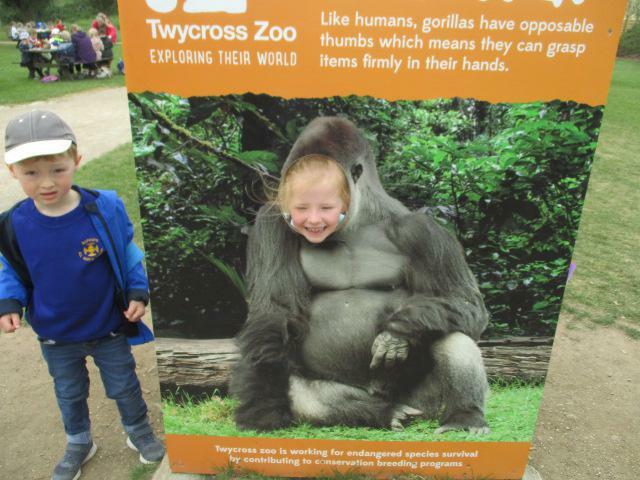 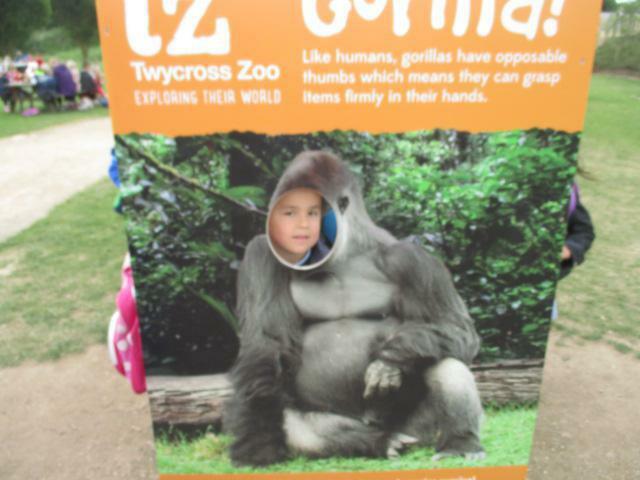 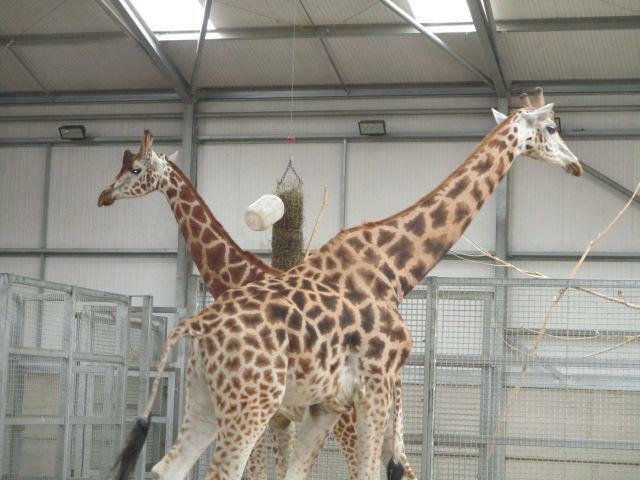 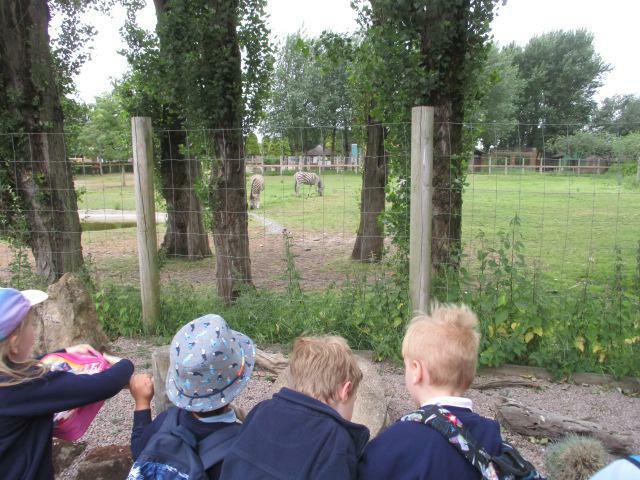 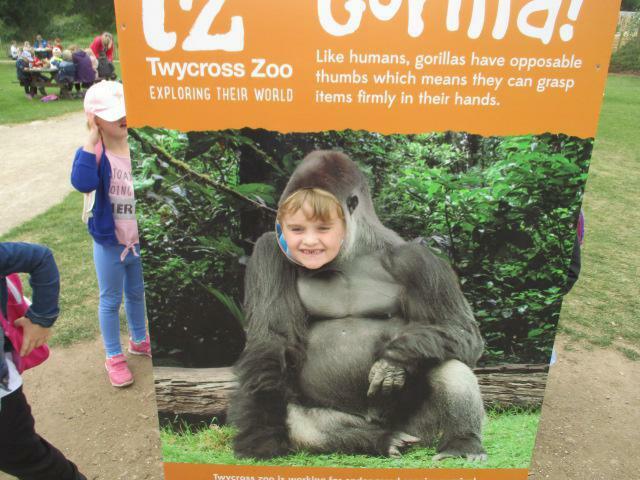 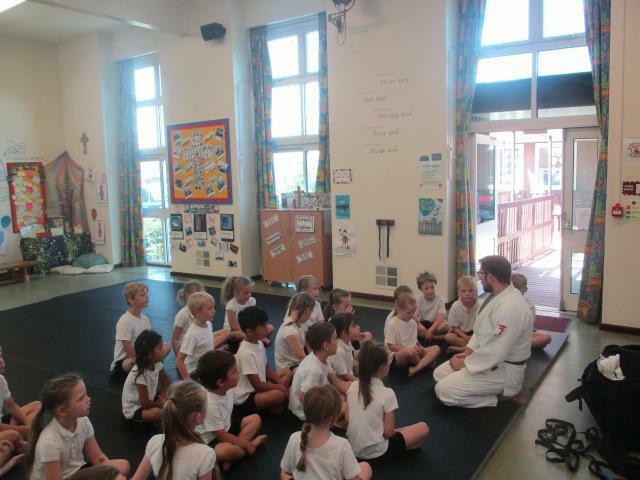 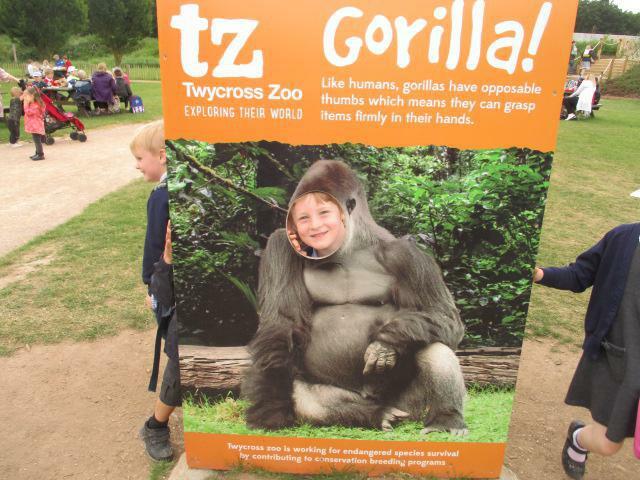 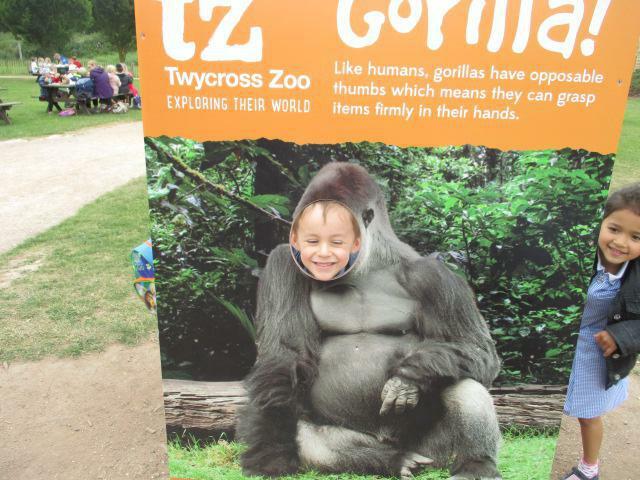 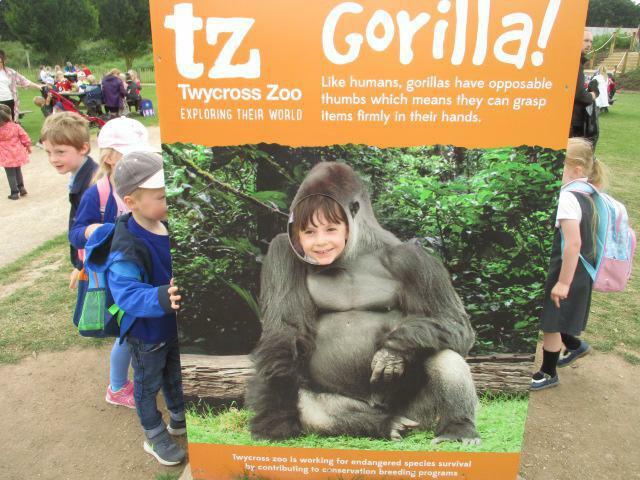 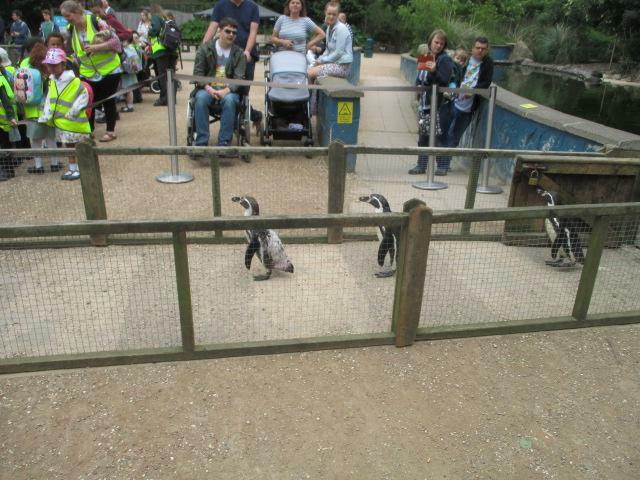 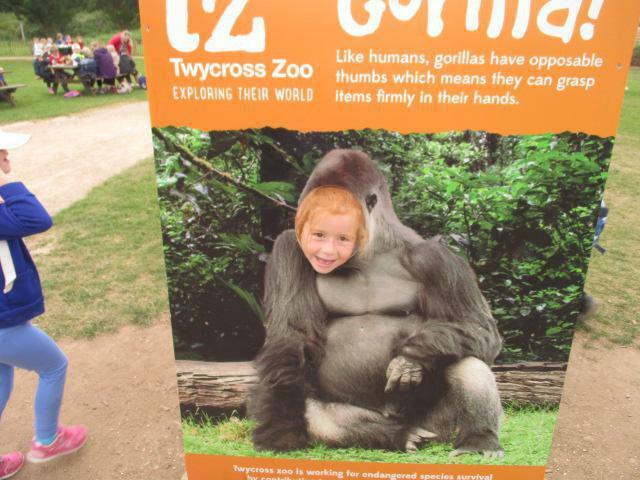 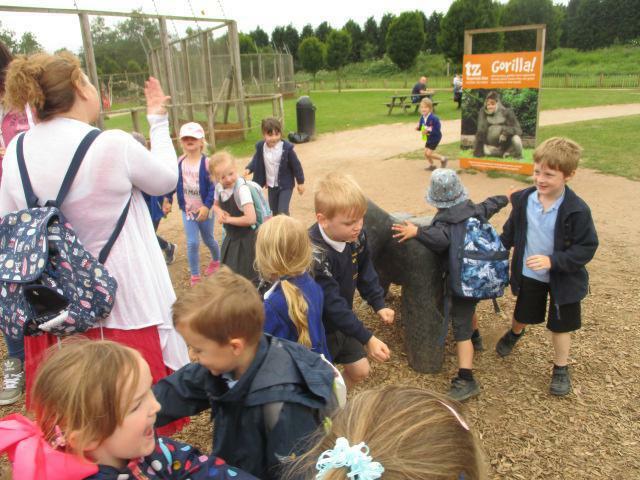 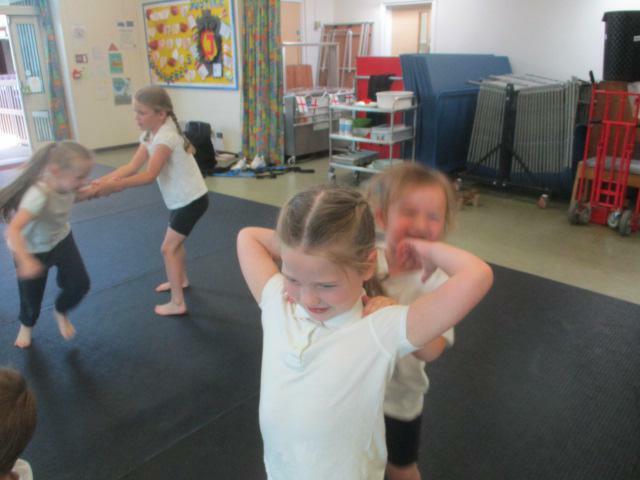 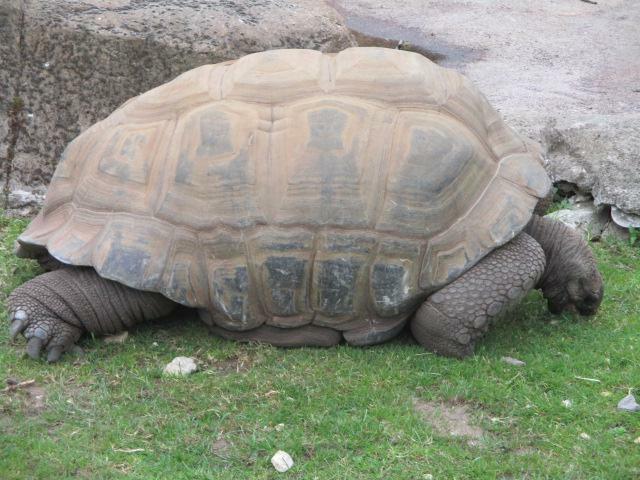 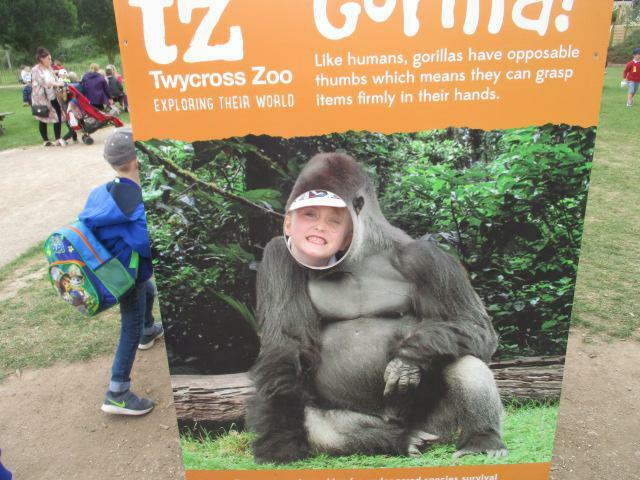 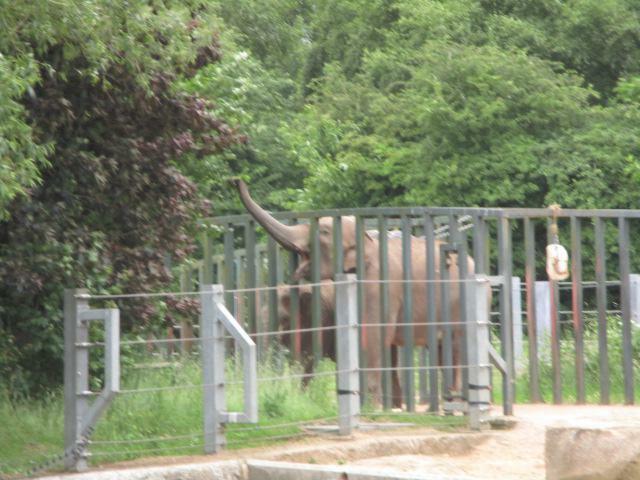 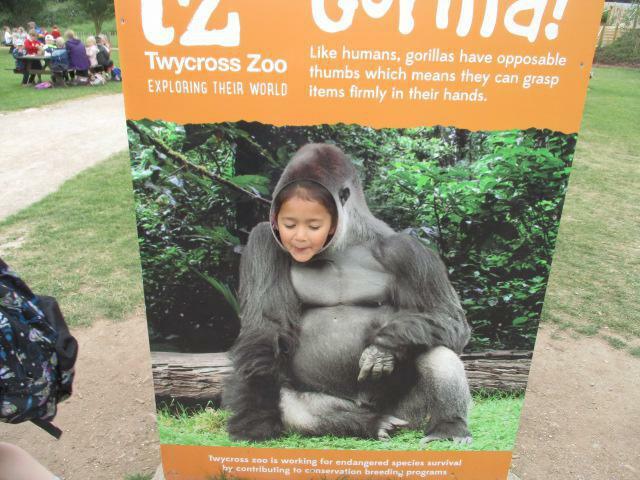 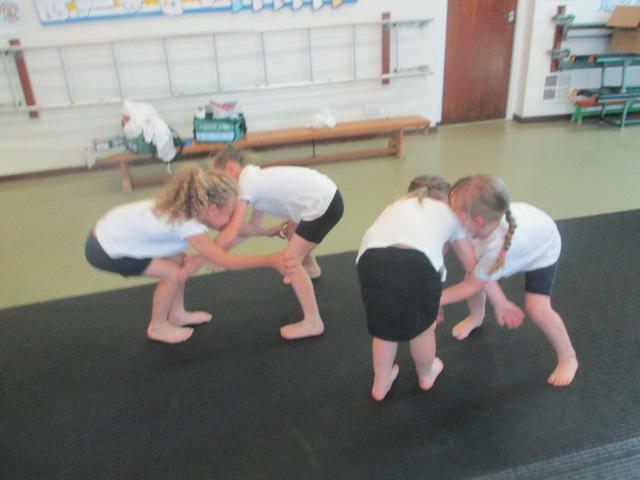 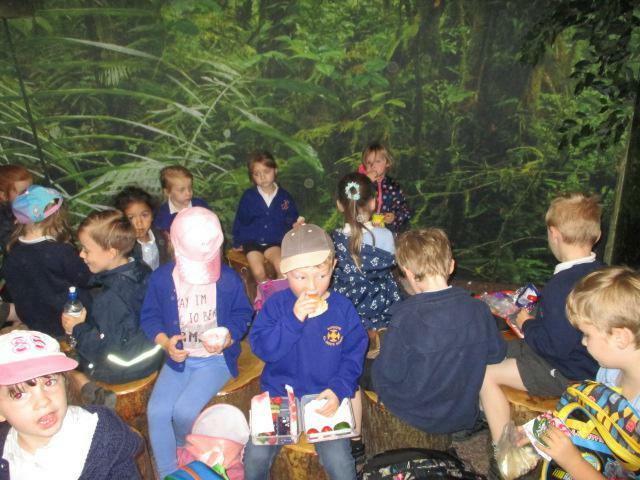 All of the children had a thoroughly enjoyable day and were a credit to our school. 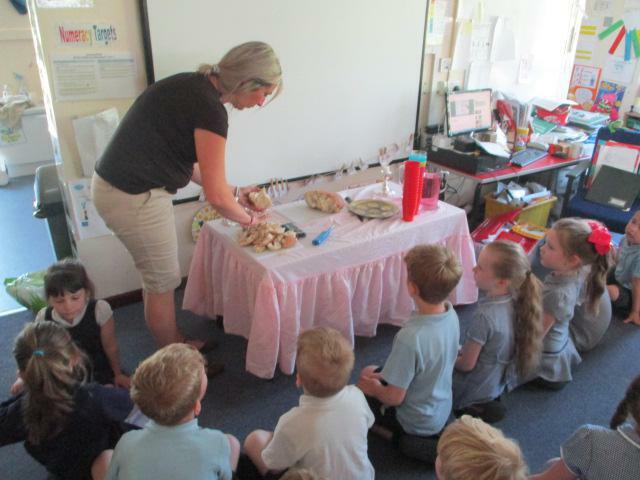 RE Week - Who is Jewish and what do they believe? 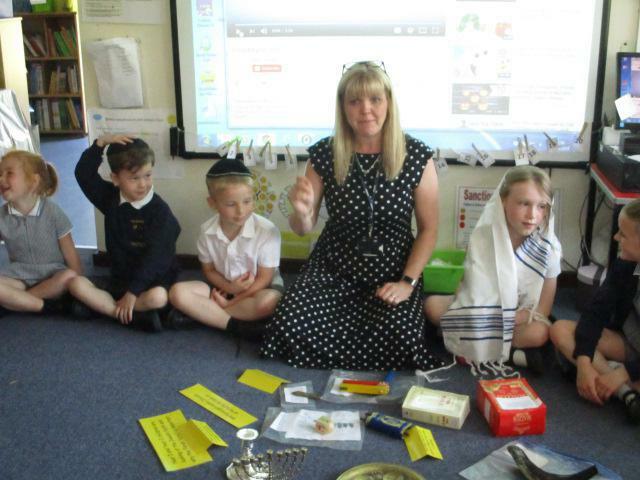 We have enjoyed learning about the Jewish faith and finding out about their traditions and customs. 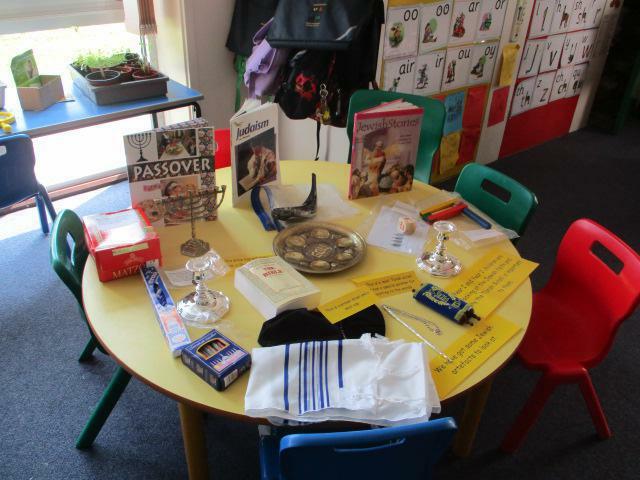 The children in Holly Class have explored a range of Jewish artefacts and discovered what they are and how they are used. 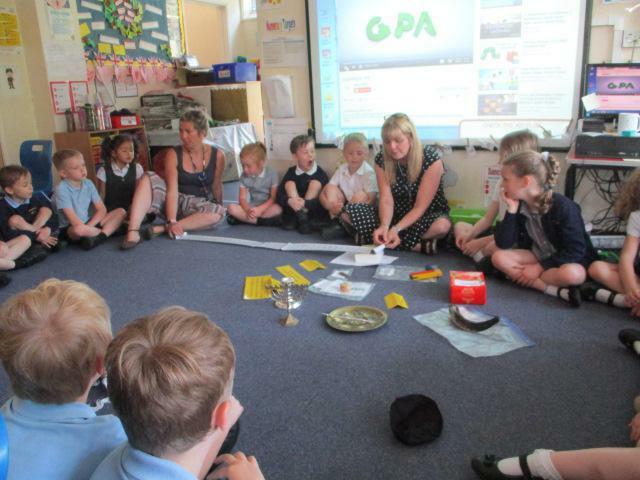 We have learnt about Shabbat and its importance to the Jewish faith. 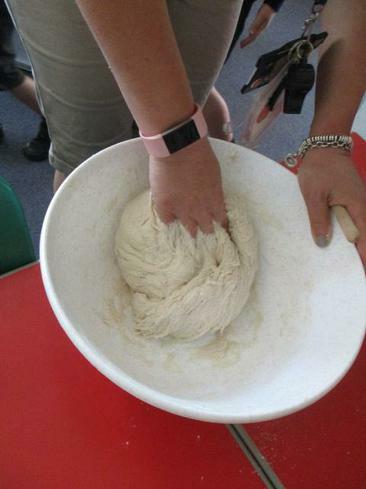 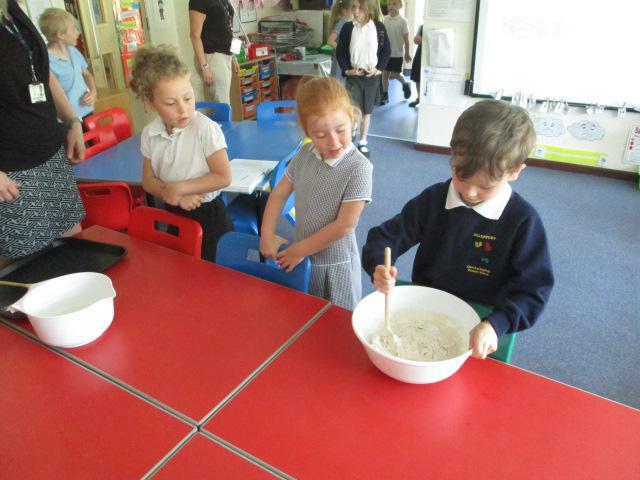 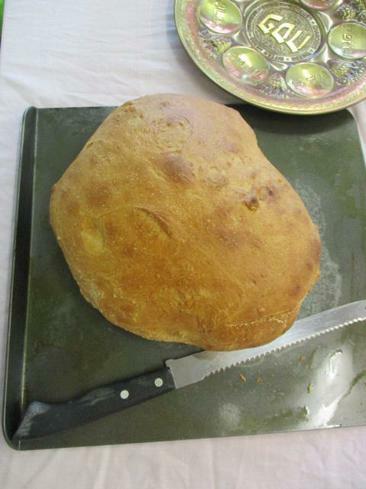 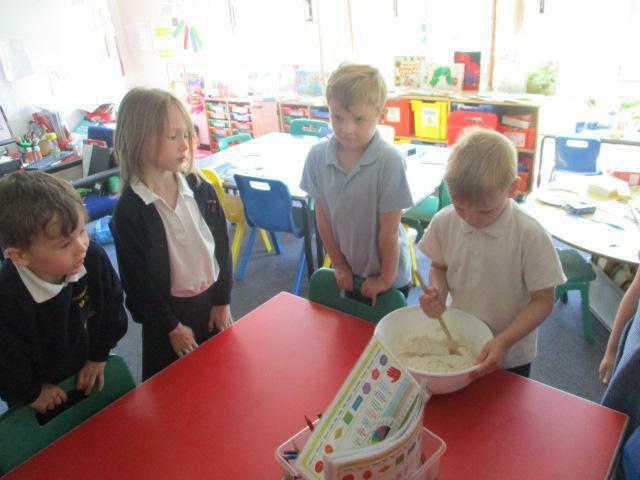 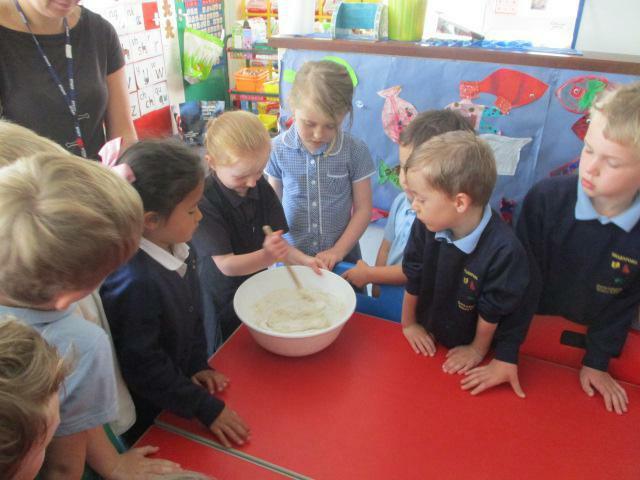 We made bread, or 'manna' as it is traditionally known and enjoyed re-enacting a Shabbat meal. 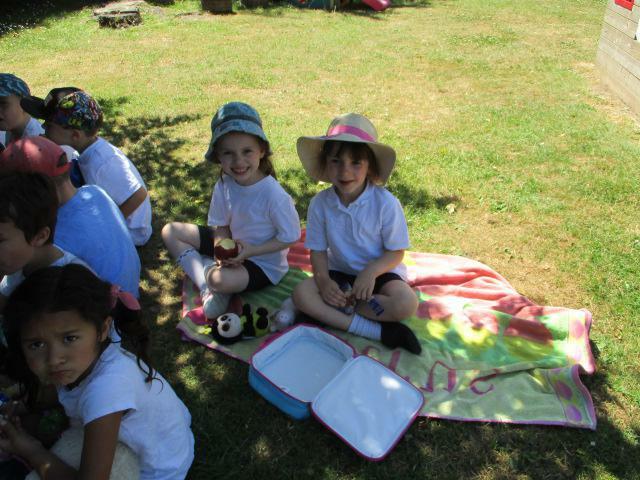 We drank grape juice, shared the bread, lit the candles and listened to traditional Jewish music. 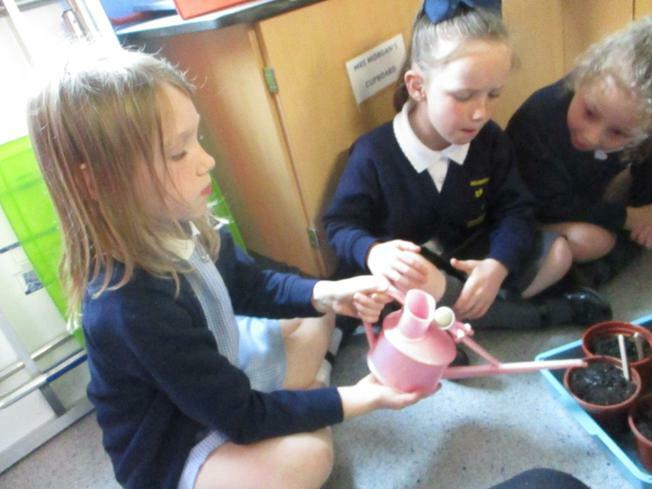 The children also enjoyed making and decorating a spice box, where they can keep their most treasured possessions. 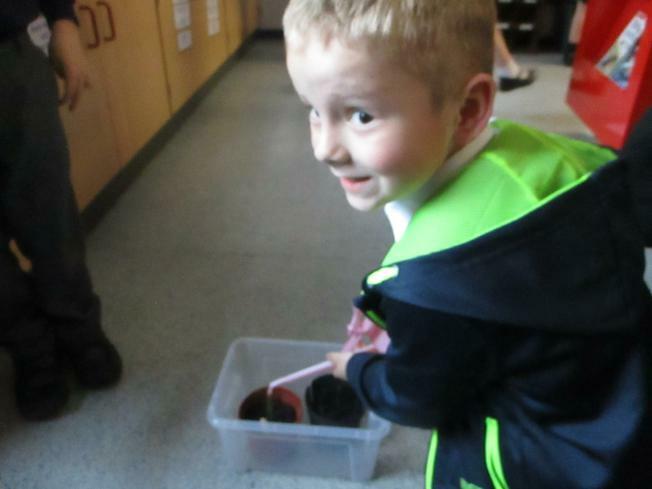 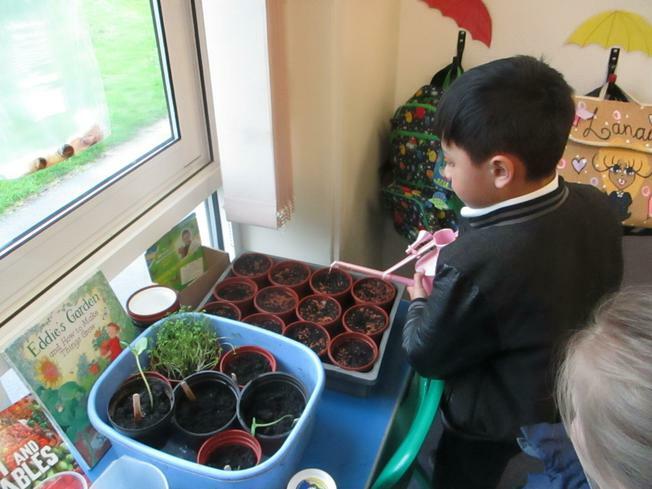 Our Topic this term in Year 1 is 'Oliver's Vegetables' and 'Nature Detectives' in Reception. 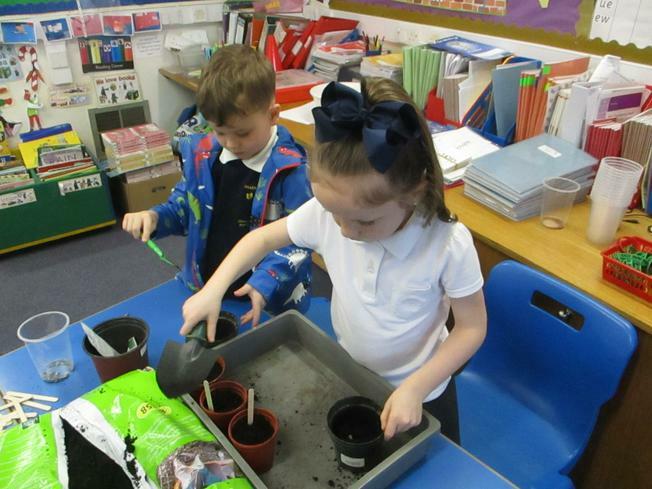 The children have enjoyed planting lots of different seeds and over the coming weeks will be observing how they change and grow. 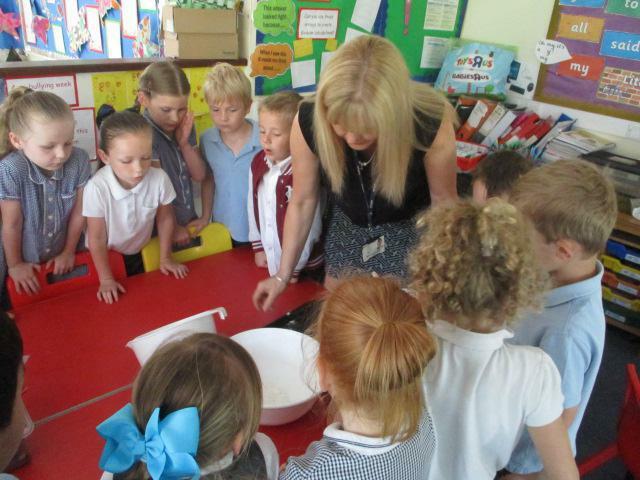 This week we have been learning all about a fair test in science. 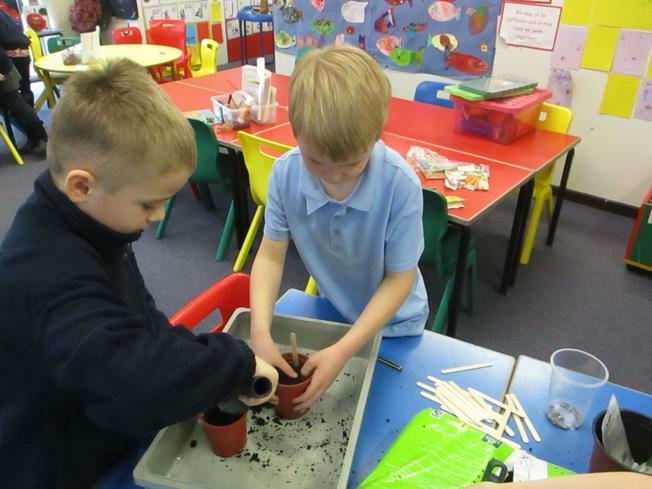 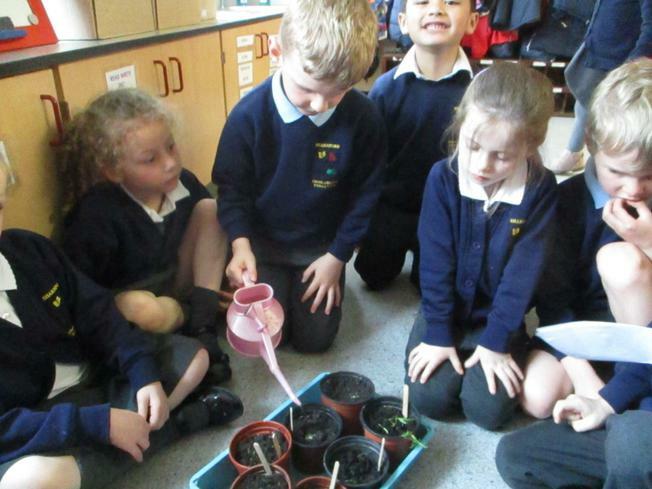 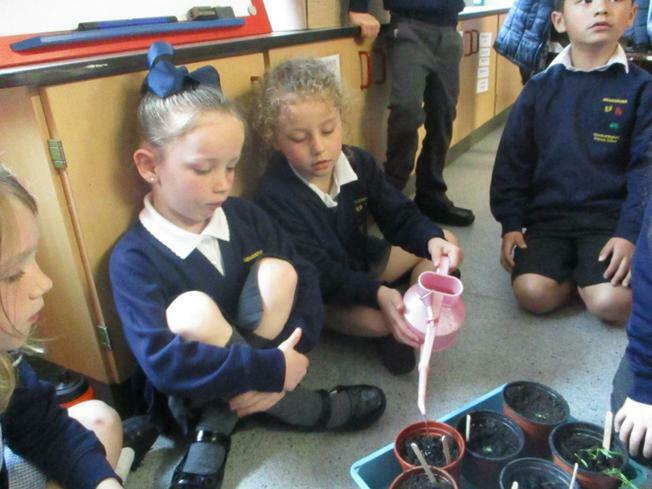 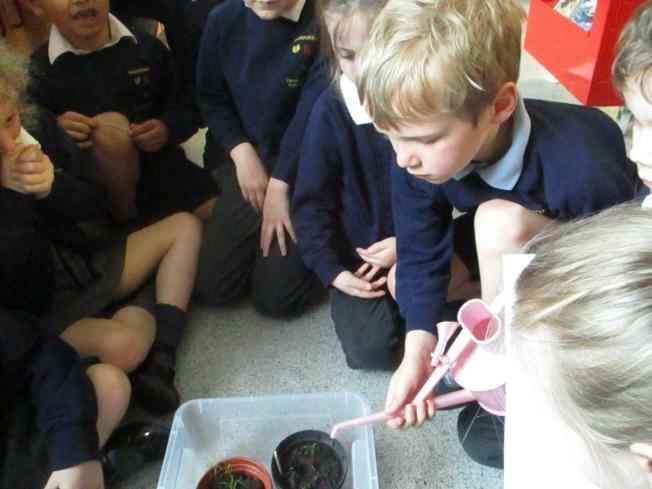 The children tested to find out if cress needed water to grow. 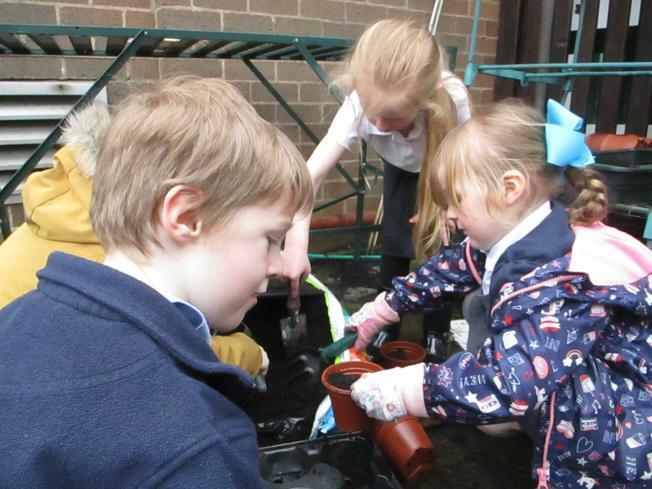 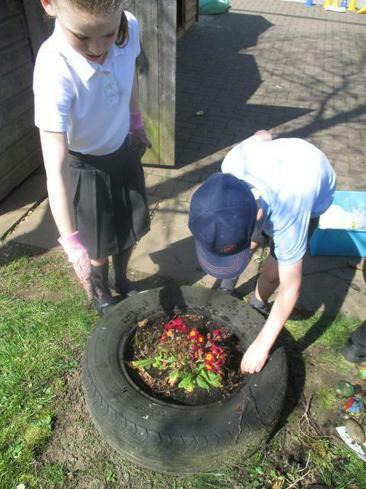 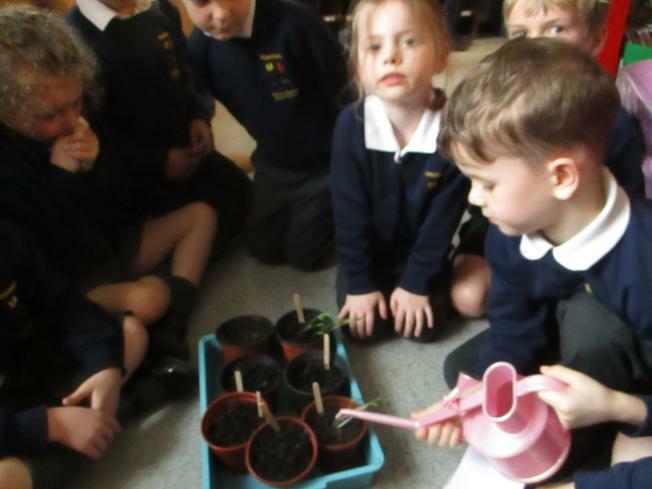 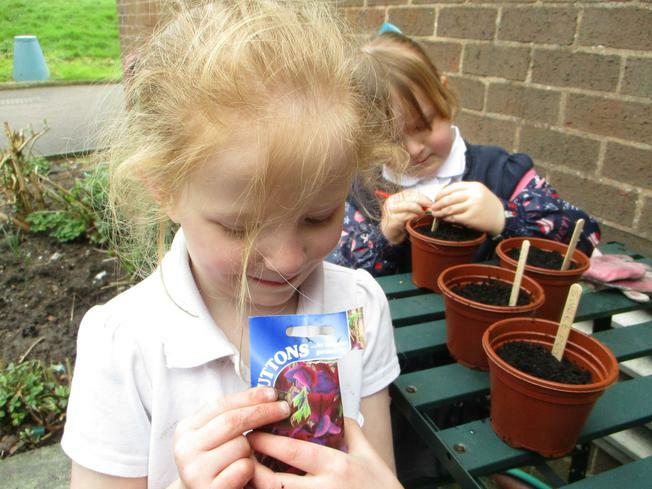 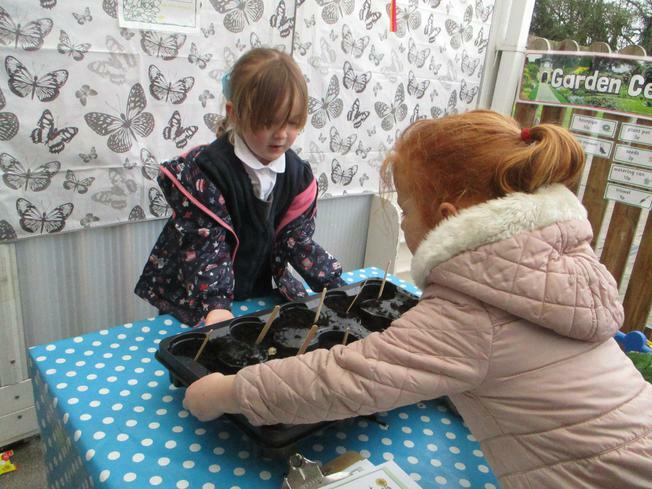 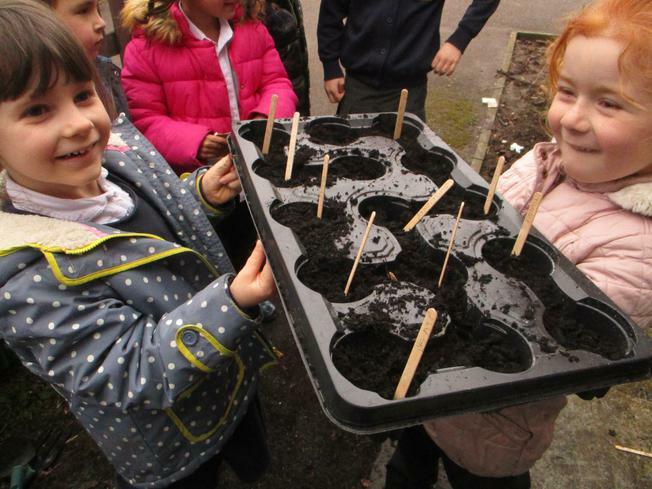 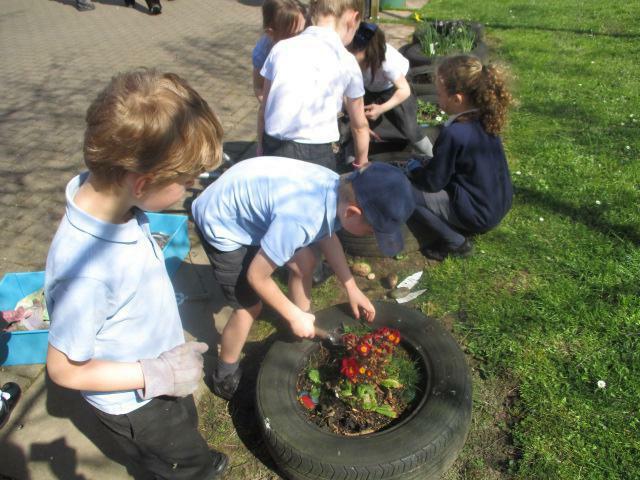 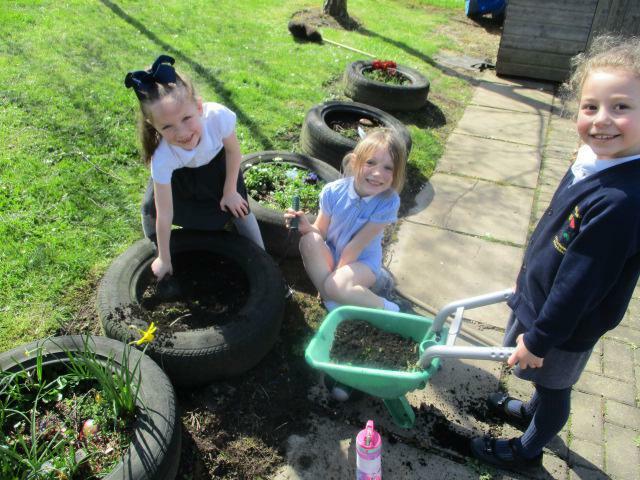 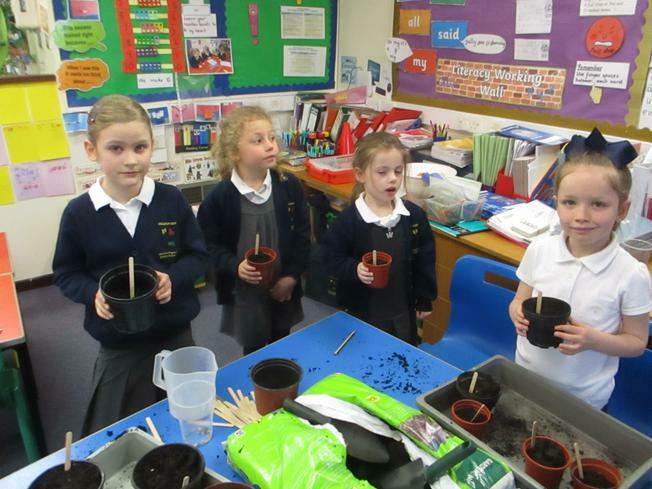 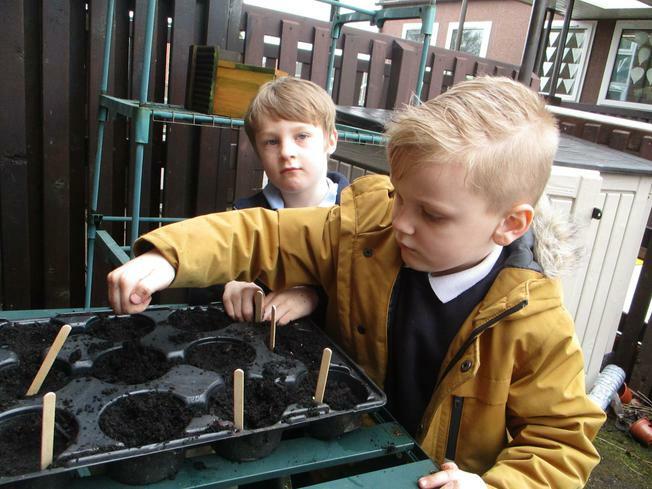 Holly class have also started a gardening club and the children have been busy planting seeds, weeding and taking care of the plants in our outdoor area. 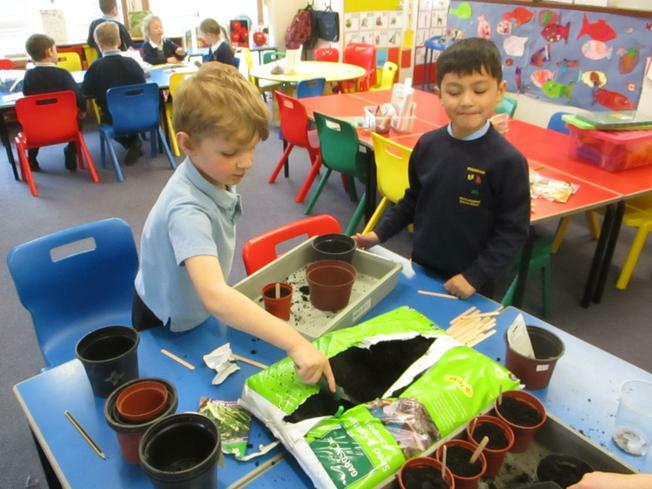 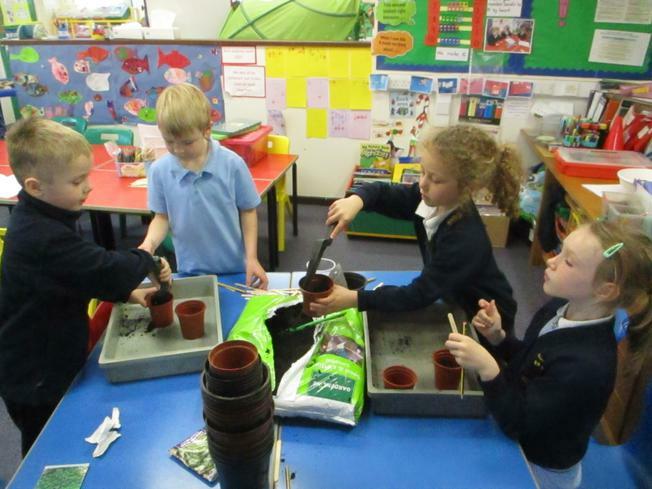 We are hoping to grow lots of plants and vegetables!